LARC-V (Lighter, Amphibious Resupply, Cargo, 5 ton), is an aluminium-hulled amphibious cargo vehicle capable of transporting 5 tons. Developed in the late 1950s by the Borg Warner Corporation, the first prototype was built in 1959. A total of 950 LARC-5s were built. It's primary role is to carry military cargo over land and sea. Originally it is used to ferry supplies from ship to shore, or if required, further inland. 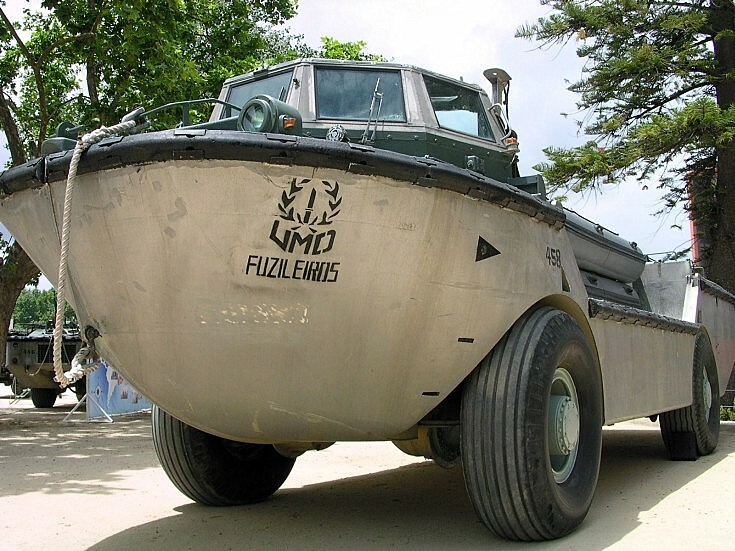 A small number of these amphibians are still operational with the US Navy.